Note: This is very much a first draft. feedback is welcome! So, after writing all that about Cons yesterday and some discussion on twitter and G+, I found myself really chewing on a very simple, Blades specific question: Where’s the point of entry? It’s an interesting question because it’s entirely possible to answer, but doing so reveals a bit of a mismatch with the Blades cadence. The best answer is probably The Score – the moment that the con pays off, leading immediately into the blowoff. That is super playable, and can lean heavily on the flashback mechanic to fill in all the steps that lead to this point. That works, and it’s certainly in the style of classic cons. That is a hack, in the most classic of senses. The flashback mechanic is designed to handle planning and prep, not the score itself. Using flashbacks to build the score itself suits certain sort of cinematic sensibility (which is to say, mine) but it’s arguably warranty voiding behavior. Now, personally, I’m fine with that. I’m super comfortable stretching the flashback mechanic as far as it will go. But that’s not necessarily useful for every table, so it left me with the question of how I’d handle this using the Blades tools as intended. From that perspective, a con is better handled as a long term project. It’s got a long timeline, multiple parts to act upon, and ultimately has a payoff. And it would be entirely possible to just leave that as is: as a player you describe the con you’re running in downtime, the GM creates a clock for it, and you proceed as normal. That would 100% work, especially if that level of detail lines up with the level of player interest. However, assuming that one wants a little more depth to it, then there is room to make is a more sophisticated effort. Specifically, making a con a series of clocks creates opportunities for free play and scores that evolve naturally from play. 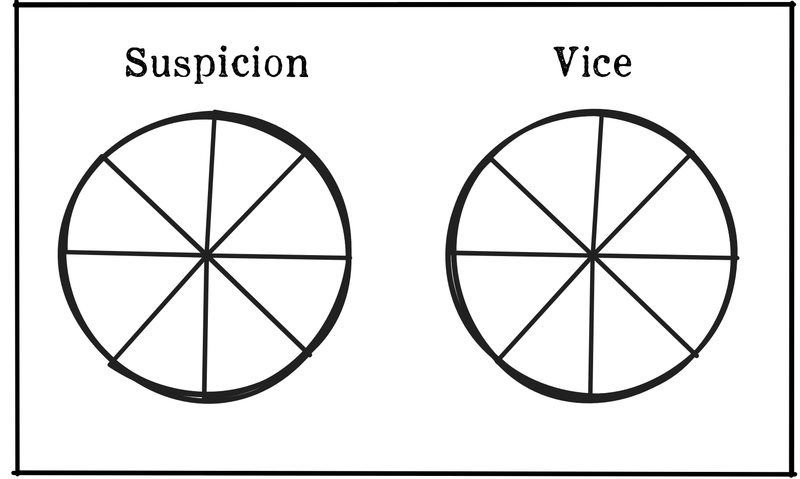 The simplest model is two race clocks: One for the progress of the con, one for the mark’s level of suspicion. This still leaves the nature of the Con pretty free form, but it introduces a tension dynamic as other factors may drive up the Mark’s suspicion and, of course, lowering the Mark’s suspicion is a potential score (You might even want to consider running the blow off as a score with that goal). 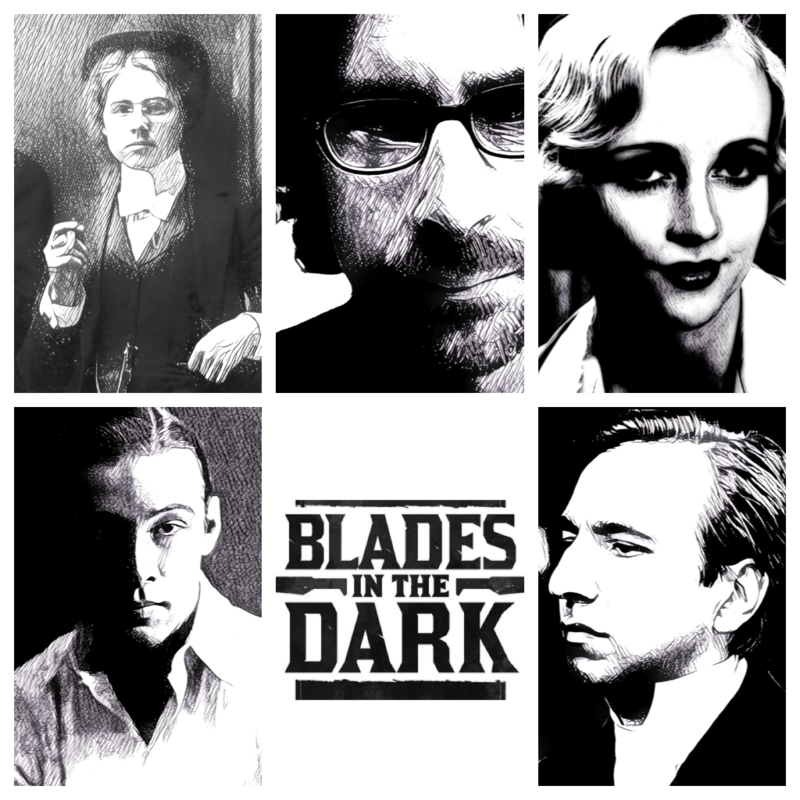 While this is a little bloodless, @mattjohns offered a perspective on this that is very much in tune with the spirit of Blades – the con progress clock is the clock of the Mark’s vice – the grifters offer escalating opportunities for the mark of indulge until it trumps his good judgement and he acts. This is flavorful and character driven, so I expect it would be a lot of fun. For folks who want a little more depth, then I offer a worksheet model with 6 wheels: Suspicion, attention, interest, confidence, trust and Score. Now, these are very loose categories, and the specific things the wheels will represent depend on the specific job, the details of which are also in the worksheet. Before we get to the wheels, we need to talk about the mark, the score, the hook and the plan. The mark is the person being conned, and the score is what they’re being conned for. Hopefully that is pretty easy to establish. The hook is the point of leverage that the grifter intends to use to pull off the con. Most frequently, this is a vice that the mark partakes in, but it could also be a secret, a habit, a weakness or almost anything else. The hook is something that provides leverage – it’s not enough to be used by itself for blackmail or the like, but it enables action. 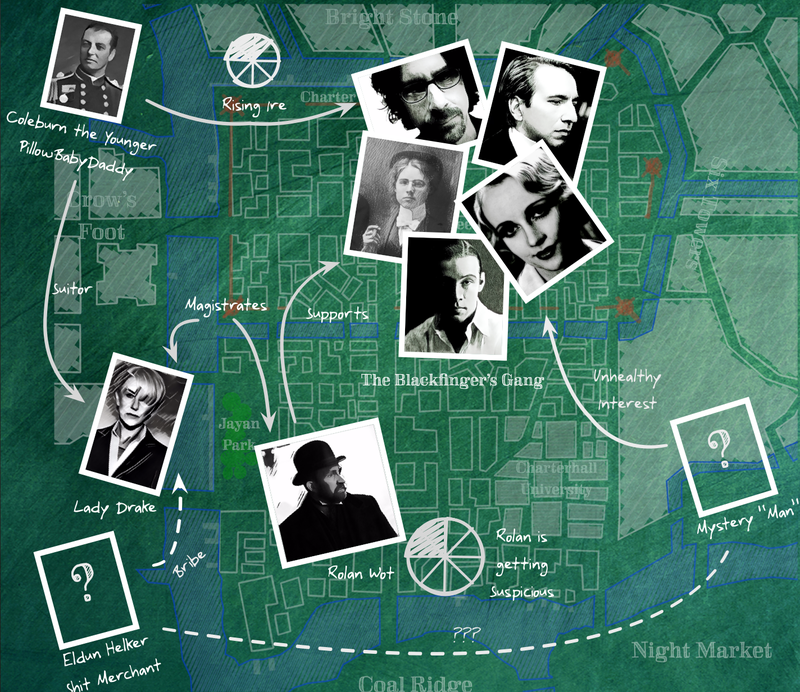 If starting from nothing, players may not have a hook, which may drive some information gathering or other activity. Alternately, a hook to a particular NPC might be found on a score, or enter play through some other vector. But once the hook is identified, then the question becomes how to take advantage of it. This can be the hard part, and if it’s sufficiently hard for players, then I definitely encourage going with a two race wheel model. But for those who enjoy a clever plan, then it’s important to remember that all of these plans can be made on the assumption that the mark will act in accordance with the hook. This gives the planner an almost supernatural ability to predict the future, so long as she can say “The mark will act in this way, because it’s in accordance with their hook”. The first question is “How will we get the mark’s attention?” Don’t overthink it. Because we know the mark’s hook,we know what kind of people he is going to meet, so it’s just a matter of fitting that mould. The next question is “How will we capture the mark’s interest?” Again, don’t think too much. We’ll provide him a means to address his hook. Simple as that. Ideally when he notices us, he’ll see that we have the means to address his hook in some way, and that will fuel interest. Next, “How will we capture the mark’s confidence?” This is marginally tricky, but still fairly simple, because the answer is usually some variant on “We’ll give him what he wants”. The goal is to convince the mark that the grifter represents an actual opportunity. This is all prequel to the main event – the mark is now on the hook, so it’s time to reel him in, so we get to the next question: “What’s the Score?” This might be the most complicated question to answer, but it’s still possible to boil it down to fairly simple question of what you’re convincing the mark of to get him to do the thing you need. Importantly, this can be predicated on an assumption of success up to this point. If they haven’t, you won’t get to this point anyway, so don’t waste a lot of energy on qualifications and contingencies1. Lastly, what’s the plan for the blow off? You’ve got the good, they’re in your hand, how are you going to get out with the mark thanking you for the trouble2? As with all the answers, feel free to keep it short. SIDEBAR: Why Don’t I Just Kill This Dude? 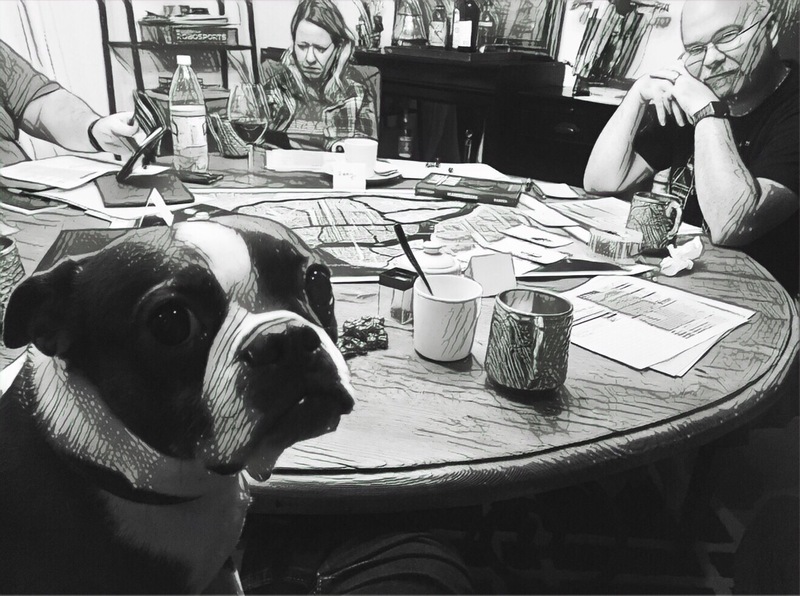 Blades is a pretty brutal game, and one more reason that cons are a hard thing to justify is that they depend upon a concern about consequences. Also, frankly, cons usually come from genres where being a thief doesn’t make you a murderer, and crews tend to have rather more moral flexibility. 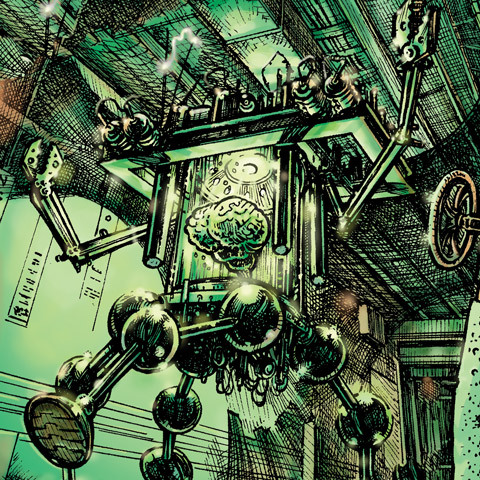 Ok, so we have a couple answers to our questions and a number of empty clocks – how do we tie this all together? First, establish the tier of the mark. It is probably pretty high, because if it wasn’t, then a con would not be necessary. In purely mechanical terms, because a con is personal, it skips over a lot of the positional problems of going after a higher tier, so the tier difference should mostly only matter if things go wrong (and should be a reason to fear things going wrong). The Suspicion clock can gain ticks any time after the con has started. It’s like any other clock, and I encourage GMs to allow complications from other events to tick it up. If this clock ever fills, the con is a bust and the mark’s faction goes to war with the crew. 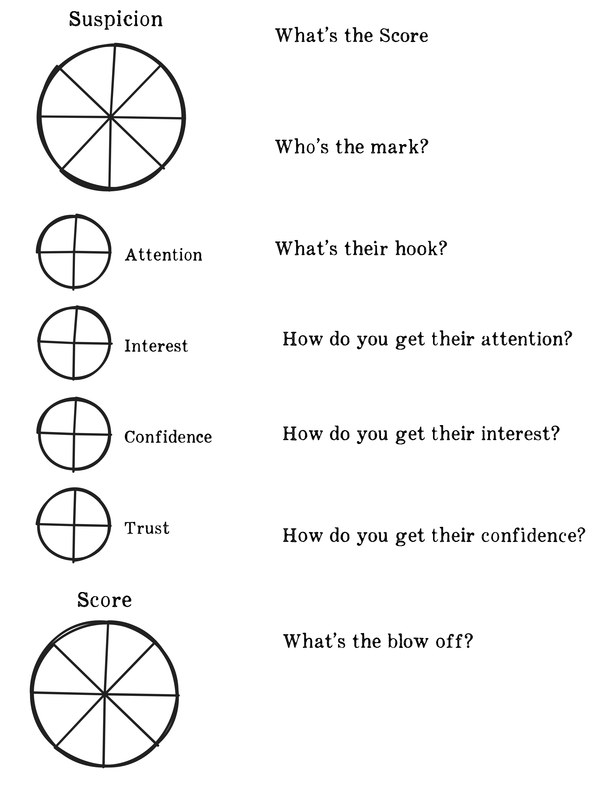 The Attention, Interest and Confidence clocks are sequential – fill one to start on the next. They can be filled by downtime actions normally. Overflow success does not spill over. Once the confidence clock is filled, the player can start filling in the Score clock. Again, this can be filled like a normal long term project. The Trust clock also opens when the confidence clock completes. It can be filled by any actions taken to mitigate suspicion, but it’s hard to fill (rolls are made with limited effect before the blow off). First: the whole thing can be resolved as a project. The crew member gets the thing they set out to do, and the gang gets heat equal to the Mark’s suspicion minus any progress on the Trust clock. The blow off appears to work, and the GM simply adds this to her notes for the future. Second: The conclusion initiates as score to collect the payoff an deliver the blow off. The details should already be pretty well established, and the entry point is just as the final con is about to go down, with the blowoff about to follow. Run and reward this score as normal, but use the information from the con to frame it and answer questions. This entry was posted in BladesInTheDark on July 27, 2017 by Rob Donoghue.